Center for the Complete Management of Mobility in the City of Granada. Mobility management in the City of Granada is developed in CGIM thanks to the integration of different subsystems. The Center for the Integrated Management of Mobility of the Excellency City Council of Granada was inaugurated the 15th. of March of 2007 by its Excellency Mayor Mr. José Torres Hurtado. Embodies the concept of unity in the urban mobility management, and represents one step forward to its antecessor the Traffic Control Center located in Huerta del Rasillo, inaugurated in February 1989, and exclusively orientated to the traffic lights centralization management. Live and regular cheking thanks to CCTV and magnetics detectors. Camera control system to keep touristic dosks empty to ease touristic buses loading and unloading passengers. The access to the Administrative Complex with public transport is easy. There are several bus stops very close on foot that allow us to get to the main public transport lines, both urban and intercity. 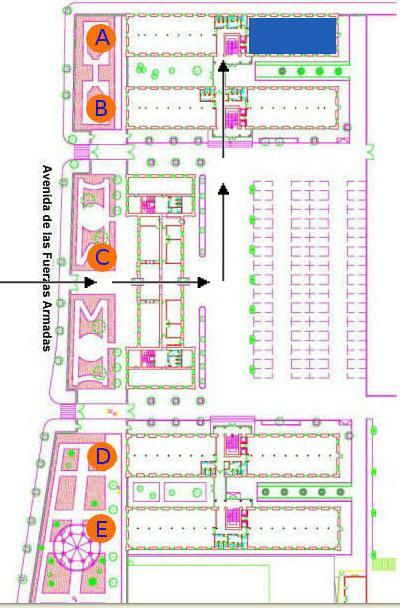 The Center for the Complete Management of Mobility, located in Building A of the Administrative Complex “Los Mondragones”, has several separated rooms where different functions are developed. Physically separated from the rest of the complex for a thermic and acoustic isolation, we find different servers where data bases,web, calculus and comunication with the rest of the subsystems are kept. Also UPS and communication devices are there. It makes the neuralgic center of CGIM. Here we found several operator places, responsable traffic lights man in charge and Coordination man in charge of City Local Police. 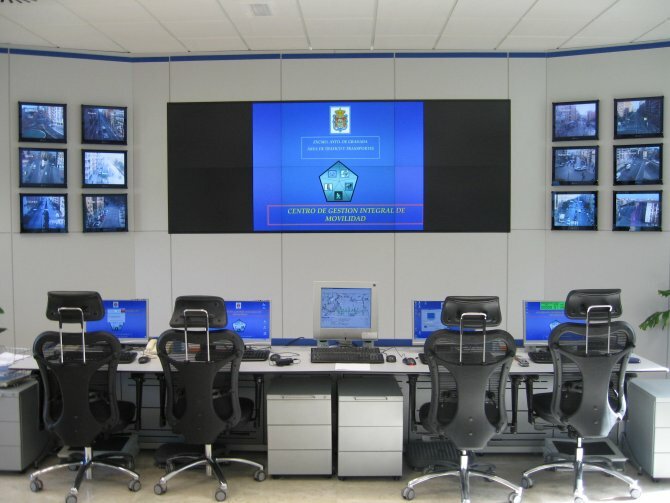 We find Videowall and different screens that shows live traffic hotspots in Granada, and also graphic interfaces of the different applications that controls and monitorizes traffic . 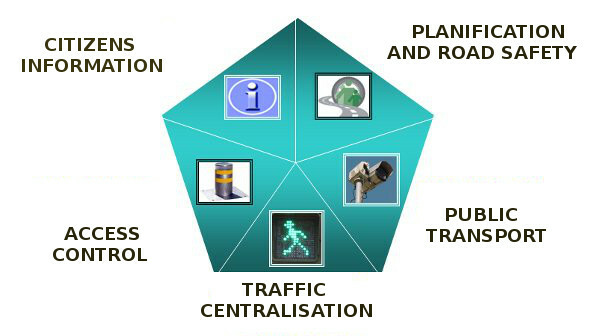 Performes maintenance labours of Geographical Information System of traffic lights installations in the City. In highest coordination with traffic control center, performes diverse traffic engineering jobs. Operators control the bolard system and check the proper functioning of the penalties making procedure by number plate capture cameras. Bus lanes penalties and Access Control. It has several places for City Local Police , where penaltiese generated by the system are approved. Here different coordination meetings have place, both Mobility area and work supervisors, that affects city mobility. 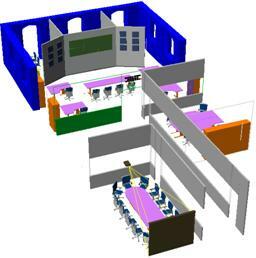 It also counts with a proyector for presentations. The CGIM department of the City Council in Granada doesn´t have customer service, But also has a Customer Service in Citizen´s Protection and Mobility Delegation, also located in the Los Mondragones Administrative Complex(building B, 2nd. floor), with opening hours in the morning from 10:00 to 13:00 hours. CGIM staff and traffic lights technicians working hours is 24 hours a day.